For those courses without formal written assessment tasks, having met the minimum attendance requirement, you will be issued with a Certificate of Completion. To successfully obtain a certificate of completion in those programs containing formal written assessments, all assessment tasks must be satisfactorily completed. It is also required if you are to use the credit-bearing course for credit towards a university qualification. You may participate in the course and choose to submit work for formal assessment. On successful completion of the course including university-level assessment tasks, you will be issued with a Certificate of Completion and be eligible to apply for credit towards further studies were applicable. You may participate in the course and choose to submit work for formal assessment. On successful completion of the course including formal written assessment tasks, you will be issued with a Certificate of Completion without credit points, if the assessment tasks have not been completed to a university standard. You may participate in the course but prefer not to submit work for formal assessment. On completion of the course you will be issued with a Statement of Attendance. Only under special circumstances, one re-submission per assignment is allowed. You will have to meet the specified eligibility criteria to gain entry into an undergraduate/postgraduate course. For further course information refer to Faculty of Education courses and study options. We may recognise credit points for specified or unspecified credit at undergraduate or postgraduate level. However, you should refer to the specific course programs for the eligibility criteria. All of our courses either generally or specifically meet the Australian Professional Standards for Teachers (APST). 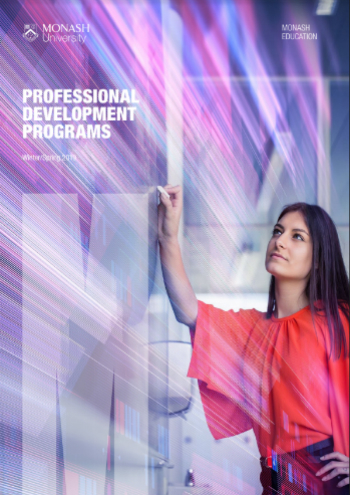 These courses are opportunities to meet your professional development requirements.